Most teenagers get acne or pimples at some point. Some of the contributing factors to pimples include hormonal changes in the body, an unhealthy diet, improper skin care, use of harsh cosmetics, and excessive sweating. Pimples are perhaps one of the most common and dated skin afflictions faced by people all over the world, so much so that a majority of sufferers have learned to live with them. A bump here and there is no major worry, but what becomes particularly irksome is when the pimple comes with a red nodule-like appearance that makes it hard to miss by onlookers. Moreover, another distinguishing trait of these pesky redhead pimples is the throbbing pain that emanates from the site of the breakout and spreads to the surrounding area. Thus, your attention-grabbing pimple doesn’t only make you self-conscious, but the ever-present pain makes it doubly hard to keep your mind off it no matter how hard you try to ignore it. The redness of pimples indicates a reaction to bacteria, inflammation, and skin irritation. Also, the likelihood of pimples becoming red increases if you squeeze or pick them or scrub your face too hard. 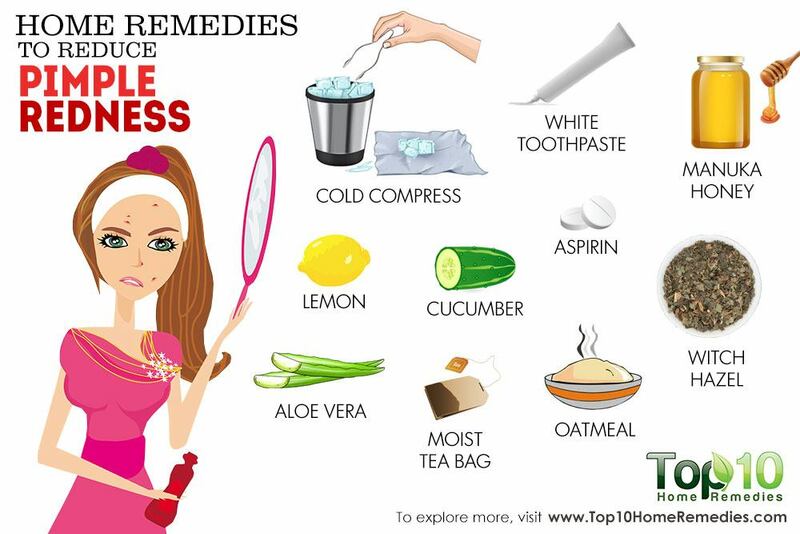 You can reduce the pimple-related redness and irritation easily with these home remedies. 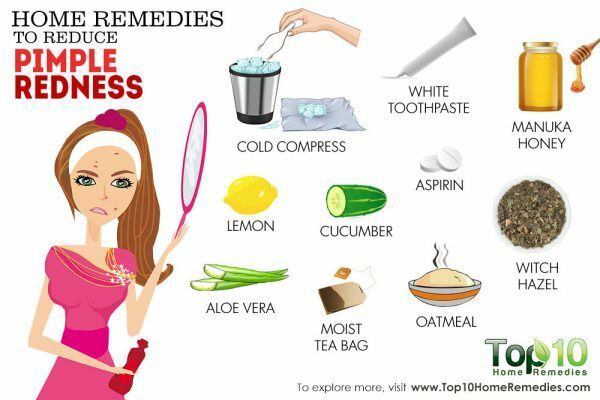 Using a cold compress is one of the best ways to reduce pimple redness. The cold temperature helps contract the blood vessels underneath the skin, which in turn minimizes the pimple’s appearance and redness. It also helps calm irritated skin and shrink the size of the pores to accelerate the healing process. Gently rub the compress on the affected area for 1 minute. Take a break for 10 minutes, and then repeat. Note: Do not apply ice directly on the skin. It can cause frostbite and damage skin cells. 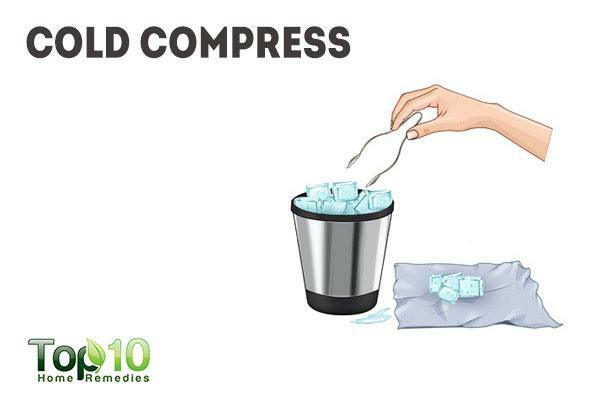 Moreover, use gentle pressure when applying the ice pack on the affected site as excessive force can cause the pimple to rupture. This only paves the way for further infection due to the transmission of pus to other areas of the skin and also increases your chances of scarring and additional reddening. Well known for its natural antiseptic, antibacterial, and disinfectant properties, turmeric can be used to shrink pimples and minimize the redness. Make a paste by mixing turmeric powder and coconut oil. Apply this paste on the affected area for 1-2 hours. For quick results, leave it on overnight. You can also include turmeric in your culinary practices. 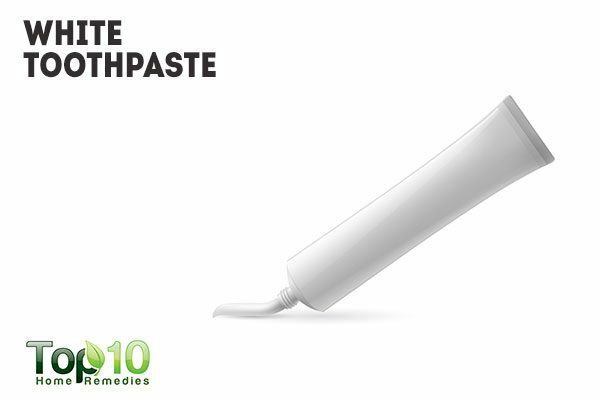 Another readily available ingredient that can help reduce pimple redness is white toothpaste. 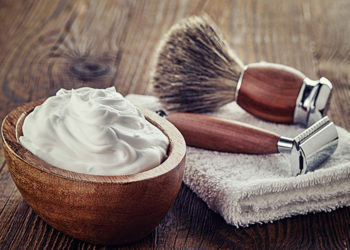 Many varieties of toothpaste contain baking soda, triclosan, and hydrogen peroxide, among other ingredients, that help dry out pimples and reduce the redness and swelling. Before going to bed, wash the affected skin with plain water. Apply a little white toothpaste on the affected area and leave it on overnight. The next morning, wash your face with a mild cleanser to remove the residue that accumulated overnight. Gently pat dry the skin. Note: Avoid toothpaste products that contain menthol or fluoride, which can irritate your skin. 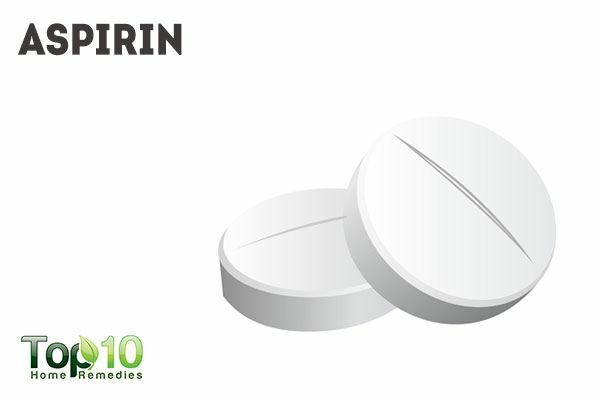 Aspirin contains salicylic acid, which can reduce redness and inflammation caused by breakouts of acne or pimples. Salicylic acid offers anti-inflammatory effects by suppressing an enzyme responsible for inflammation. Another bonus is that aspirin helps dry out pimples quickly. Crush 1 or 2 aspirin tablets into a fine powder. If you are worried about the aspirin drying out your skin too much, you can add a little honey to it. Mix enough water into the powder to form a paste. Apply the paste on the affected area using a cotton swab. Allow it to sit for 20 to 30 minutes. Finally, rinse off the paste using lukewarm water. Note: An aspirin mask is not recommended for people who have an active allergy to the medicine, are suffering from an ailment that prevents them from ingesting the drug, or are currently on medications that might adversely interact with aspirin. Tea contains a good amount of tannins that help reduce swelling and, hence, is beneficial in reducing the redness caused by pimples. The warmth of a moist tea bag when applied onto the affected area also opens up the pores, potentially drawing bacteria or pus to the surface, thus treating your acne. 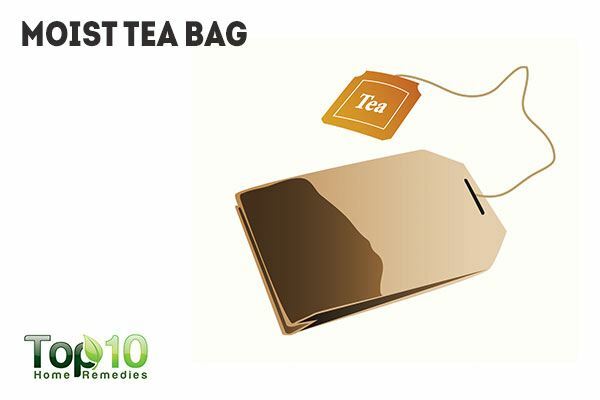 Dip a tea bag in warm water for 1 minute and remove it. Allow it to cool down a bit, and then squeeze the excess water out. Place the warm tea bag on the pimple and allow it to sit for a while. Then, rinse your skin with cold water and pat it dry with a clean towel. 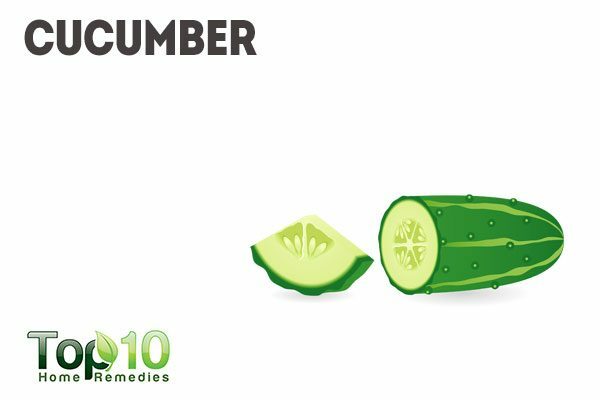 Cucumber is a known anti-inflammatory agent that helps reduce inflammation and swelling. Its astringent nature works by restricting the blood vessels in your skin, thereby lessening the redness. The soothing effect of this water-logged vegetable is an added boon to get relief from the pain and irritation associated with skin maladies such as a pimple breakout. Cut a cucumber into thin slices. Chill the slices in the refrigerator for about 1 hour. Place a slice over the site of the pimple. Once it warms up, replace it with another cool cucumber slice. Do this for 10 to 15 minutes at a time. Oatmeal is exceptionally good at hydrating the skin and fighting redness and inflammation caused by pimples or acne. Its mild astringent properties help remove excess oil and balance the skin’s pH level. 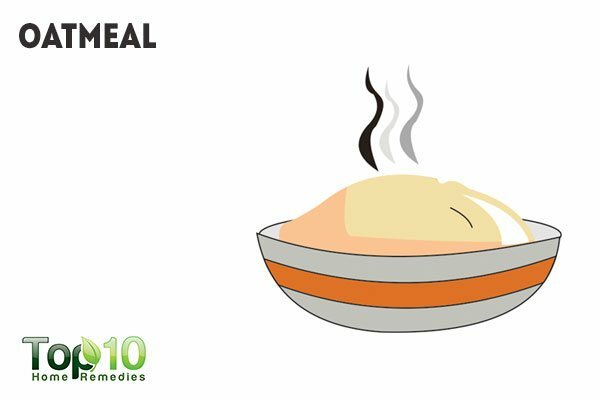 Mix together 2 tablespoons each of oatmeal and yogurt. And a ½ tablespoon of honey and mix the ingredients thoroughly to make a paste. Wait for 10 minutes before rinsing it off with lukewarm water. Use this paste once a day. Note: After applying lemon juice, avoid going out in the sun for about an hour. Witch hazel also helps reduce redness and swelling associated with several skin breakouts, including pimples. This natural astringent constricts the blood vessels under the surface of your skin and minimizes the pore openings, soothing the irritated skin and diminishing the appearance of pimples. Soak a cotton ball in some witch hazel. Hold it against the pimple for 5 minutes. You need not to rinse it off. Repeat this two or three times a day for a few days. Note: While witch hazel water works wonders for people with oily skin due to its astringent properties, it can prove too harsh for people with dry or sensitive skin. It is therefore prudent to test a small patch of skin before applying this remedy to your entire face. This will help you eliminate any chances of an adverse skin reaction later. Moreover, it is important to inform your doctor about any active allergies you might have, both to witch hazel and other topicals. 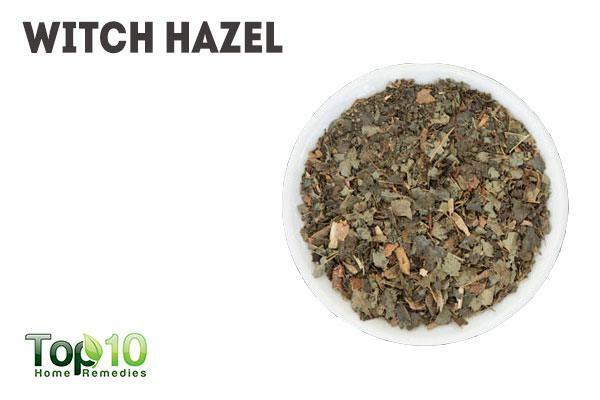 Based on this, your doctor will suggest if witch hazel is appropriate for you or not. This is particularly important because this shrub contains inactive ingredients that have the potential to trigger allergic reactions or other health issues. Due to its anti-inflammatory and antibacterial properties, manuka honey is good for reducing the redness of a pimple and helping it heal. In addition, it keeps your skin moisturized and less flaky. Dab a little amount of pure manuka honey on the affected area. Leave it on for 30 minutes to 1 hour, and then rinse it off with lukewarm water. Do this once daily until the pimple heals completely. 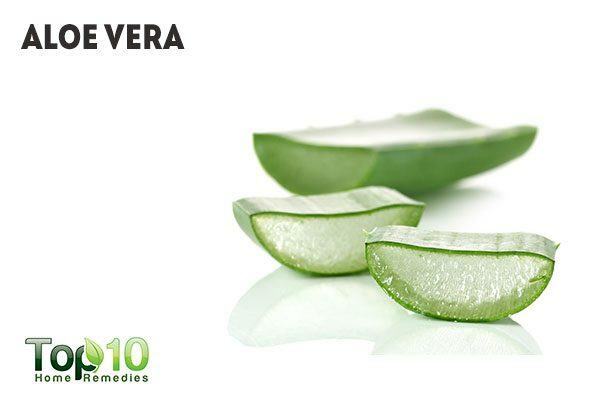 Aloe vera is beneficial for treating a number of skin conditions, including pimple redness, due to it’s antibacterial, anti-inflammatory, and healing properties. The phytochemicals in it can ease the pain, reduce the inflammation, increase the skin’s moisture content, and reduce the redness of the skin. It also accelerates the healing process and prevents further infection. Apply this gel on the affected area. You can also add lemon juice to it. Clean the area with warm water and pat your skin dry with a soft towel. Repeat this several times a day until the redness and pain are gone. 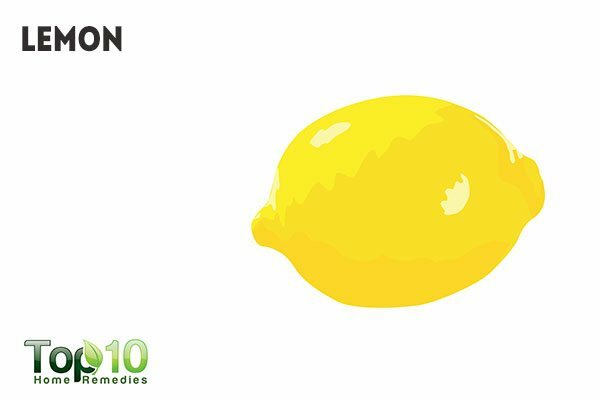 Lemon has natural healing and skin-lightening components that help combat redness associated with pimples. It also contains citric acid, which helps fight bacteria responsible for pimples and other skin breakouts. Soak a cotton ball in freshly squeezed lemon juice. Press the cotton ball against the affected area for 5 minutes. Then, rinse your skin with lukewarm water. Repeat this two or three times a day. Drink an ample amount of water throughout the day to keep your skin properly hydrated and help flush out toxins. Wash your face with a gentle face wash twice a day, in the morning and at night, to keep it free of acne and pimples. Exfoliate your skin once a week, but avoid scrubbing excessively. Eat a diet rich in vitamins, minerals, and essential fats to keep your skin healthy. Avoid stress and anxiety in life. Exercise daily, even if it is just walking for 20 minutes. Be sure to wash off your makeup before going to bed. Does Ice Help to Heal Acne? Acne.org. https://www.acne.org/does-ice-help-to-heal-acne.html. Published September 5, 2018. Dharmik Preeti. Anti-Acne Activity of Toothpaste – An Emerging Pimple Treatment. International Journal of Chemical and Pharmaceutical Analysis. http://www.academia.edu/35129130/Anti-Acne_Activity_of_Toothpaste_An_Emerging_Pimple_Treatment. Published 2014. Bhatia AC, Jimenez F. Rapid Treatment of Mild Acne With a Novel Skin Care System Containing 1% Salicylic Acid, 10% Buffered Glycolic Acid, and Journal of drugs in dermatology: JDD. Botanical Ingredients. https://www.researchgate.net/publication/263014372. Published June 2014. Nasri H, Bahmani M, Shahinfard N. Medicinal Plants for the Treatment of Acne Vulgaris: A Review of Recent Evidence. Jundishapur Journal of Microbiology. https://www.ncbi.nlm.nih.gov/pmc/articles/PMC4740760/. Published November 21, 2015. Naveed A, Mahmood A, Barkat A. Exploring cucumber extract for skin rejuvenation. AFRICAN JOURNAL OF BIOTECHNOLOGY. https://www.researchgate.net/publication/260228305. Published February 2011. Can Witch Hazel Help Acne? Acne.org. https://www.acne.org/can-witch-hazel-help-acne.html. Published September 29, 2018. Orafidiya LO, Agbani EO, Oyedele AO. The effect of aloe vera gel on the anti-acne properties of the essential oil of Ocimum gratissimum Linn leaf-a preliminary clinical investigation. International Journal of Aromatherapy. https://www.sciencedirect.com/science/article/pii/S0962456203001413. Published March 24, 2004. Kapoor S, Saraf S. Topical Herbal Therapies an Alternative and Complementary Choice to Combat Acne. Research Journal of Medicinal Plants. https://scialert.net/fulltext/?doi=rjmp.2011.650.669. Published June 25, 2011. Pazyar N, Yaghoobi R, Kazerouni A. Oatmeal in dermatology: A brief review. Indian journal of dermatology, venereology and leprology. http://www.ijdvl.com/article.asp?issn=0378-6323;year=2012;volume=78;issue=2;spage=142;epage=145;aulast=Pazyar. Published March 9, 2012.